Physics online preparation test series with solutions for AIPMT, NEET, IITJEE, AIEEE, WBJEE, NAT, BITSAT, AFMC, OJEE, Bihar PMT, KIITEE, COMEDK, VITEEE, UPCAT, EAMCET, JIPMER, BHU PMT, all Medical and Engineering Joint Entrance Exams; MBBS Admission Tests. 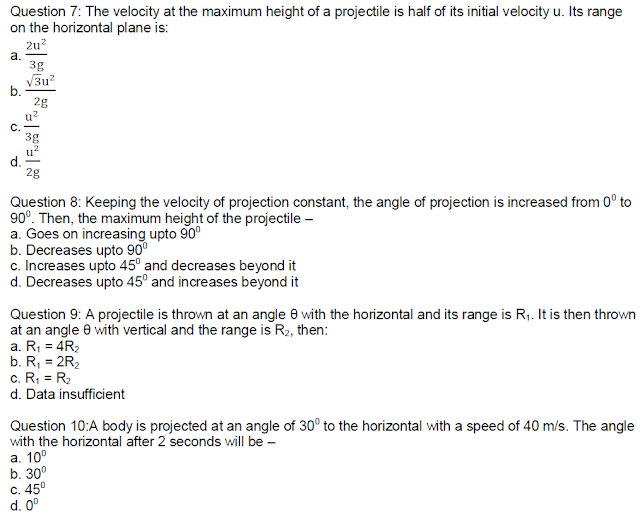 Question 4: Which one of the following statements is not true about the motion of a projectile? Question 5: The maximum range of a gun on horizontal terrain is 1.0 km. If g = 10 m/s2 what must be the muzzle velocity of the shell? 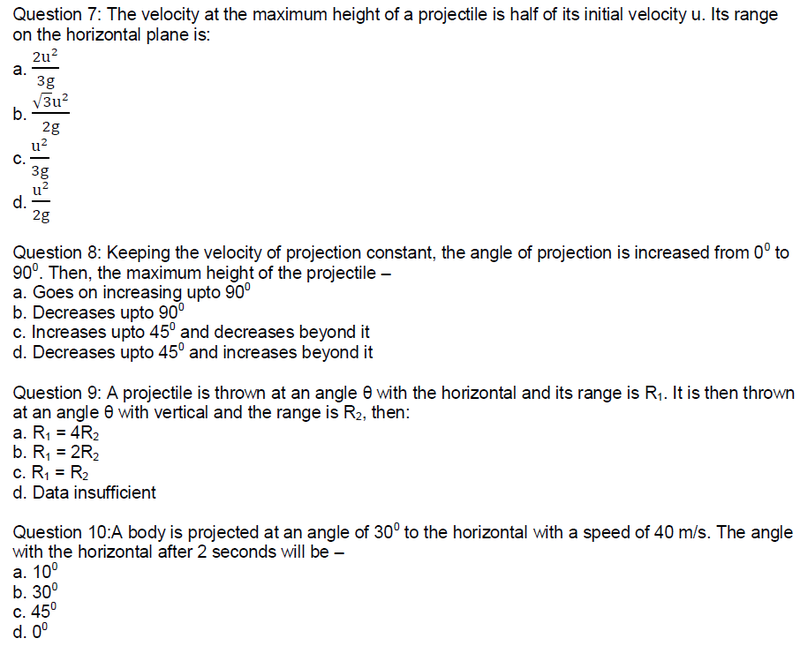 Answer 1: (d). Answer 2: (c). 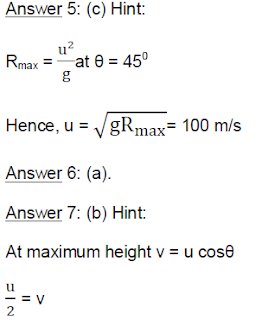 Answer 3: (c). Answer 4: (b).